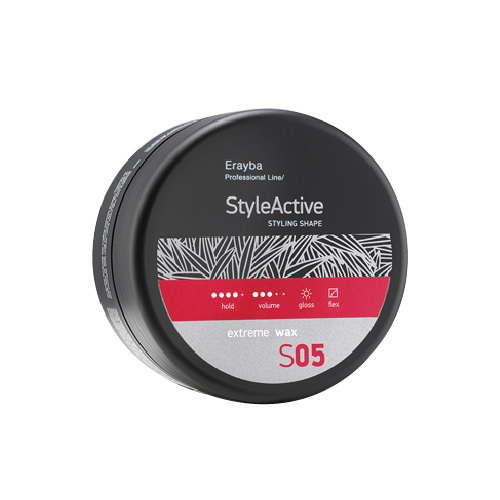 ERAYBA S05 EXTREME WAX 90ML NEW – HAIRDEPOT - Hair & Scalp Care Products, Prevent Hair Loss, Shampoo, Conditioner, Treatment, Styling, Appliances and more! Moulding wax with shiny finish. Strong hold. Definition and flexible texture. With UV protective filter.